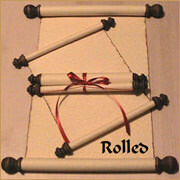 8 1/2 x 11 As for me and my house | Scrolls Unlimited, Inc. This plaque makes a great gift as a housewarming gift or for newly married couple. A variety of color options are available to meet any decor.